Thursday, 12 April 2012: South Australian triathlete Sam Tebeck will compete in the New South Wales round of the Olympic distance World Championship Qualification Series to be held this weekend in Sydney. The event coincides with Round 1 of the ITU Triathlon World Championship. Tebeck is in an ideal position to secure a place in the Australian team after winning the U19 Age Group category at the South Australian round of the qualification series held at Victor Harbor earlier this year, and placing in the top ten at the Victorian round. However, Tebeck is not taking anything for granted and must still finish the Sydney event to secure the opportunity to compete in the World Championships in Auckland in October. Tebeck has been training well leading up to the event, completing difficult training sessions with fellow Fuse Multisport Racing Team athlete, Ben Tripodi, in the final weeks before the event, including grueling bike-run track sets at SANTOS stadium. Although confident that he will perform well on the bike and run legs, Tebeck expects that he will likely have to exploit those legs to make up ground on the leaders after the swim leg. “The work we have been doing at the velodrome and on the running track is really paying off”, Sam said, “and we are working hard to improve my swim speed”. Coach Steve O’Brien said that ”we are looking for an improved overall performance compared to the Victor Harbor and Geelong results”. “The Sydney race will be invaluable big-race experience for Sam heading into New Zealand”, he said. 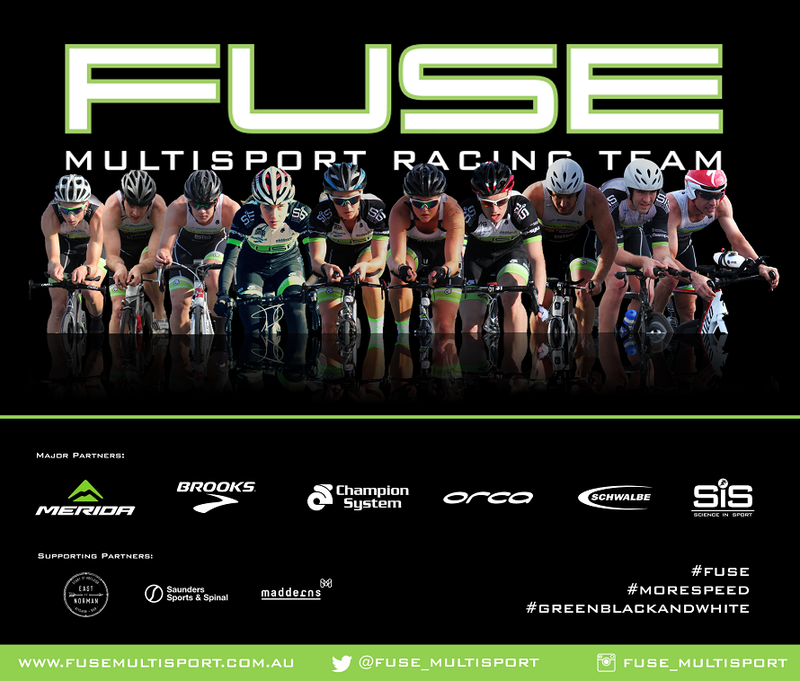 A small group of South Australian athletes will be competing in the Sydney event which will be the culmination of a 12-month training programme for Tebeck, who joined the Fuse Multisport Racing Team in March 2011. 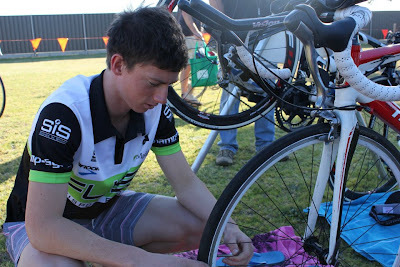 The AG race is on Sunday, 15 April 2012.